BECOME A BETTER SINGER TODAY!!! VOCAL COACHING & RECORDING PROGRAM! For over 20 years, JAMBOX Entertainment Studios has been providing its clients with top-notch recording and audio services in Midtown Manhattan, NYC, and the JAMBOX Vocal Coaching is one of our most popular services.Of course, in true JAMBOX style, we have more to offer than the average vocal coaching session! Our instructors offer various styles and approaches. Every talent is different, so, we do not believe a “cookie cutter” approach will yield the results you are looking for. We will meet with you and our coaches to devise a plan of attack to get you to your top level! Our voice lessons are held in a professional studio. This environment gives a higher level of professionalism and heightens the end result – a more confident vocalist and a more confident YOU! We RECORD your session! Recording your sessions into a top DAW (Digital Audio Workstation) such as: ProTools or Logic Pro will put you in our isolation booth singing into our pro microphones. You’ll get to learn real performance techniques on and off the mic. We provide multi-session packages to monitor your growth. You’ll see and hear improvement at the end of each of your lessons and from session-to-session. This is one of the best ways to develop as an up-and-coming singer. We design each lesson to fit your specific needs. Our coaching sessions are designed to strengthen problem areas that need improvement. This includes: vocal warmups, breathing techniques, and finding the right songs for you. Last but not least, we have amazing, dedicated, talented, and seasoned vocal coaches. Their styles cover a broad spectrum from Urban and Pop to Latin and Rock to Jazz and Classical. They have been featured on shows such as American Idol and The Voice and have various commercial releases. VOCAL COACHING SESSIONS PRICES AND PACKAGES! 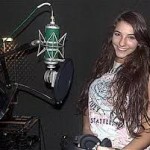 In addition to vocal exercises, you will experience recording in our studios and work on a song of your choice. Contact Us For Pricing – Limited Time! Continue your journey as a vocalist and begin to develop your own style by recording your own versions of popular cover songs or even original compositions. Get the chance to discover the brilliant nuances of your voice. Start to hear the magic! Here you will get the pure fire! Experience intensive developmental and strengthening vocal techniques. Receive mental confidence boosting coaching. Start building your song portfolio with music of your choice! Hear the progress that you’ve made by leaps and bounds! Unlock and develop your hidden talent!